Dr. Morris Jones recently published an article regarding ET Contact and the potential response from the SETI community as well as the public. He cited that the search continues in the volumes of space static that are being analyzed through the radio-telescope collection of data. The question of replies to the messages we’ve sent makes me wonder if the folks at SETI have become too myopic in their view. 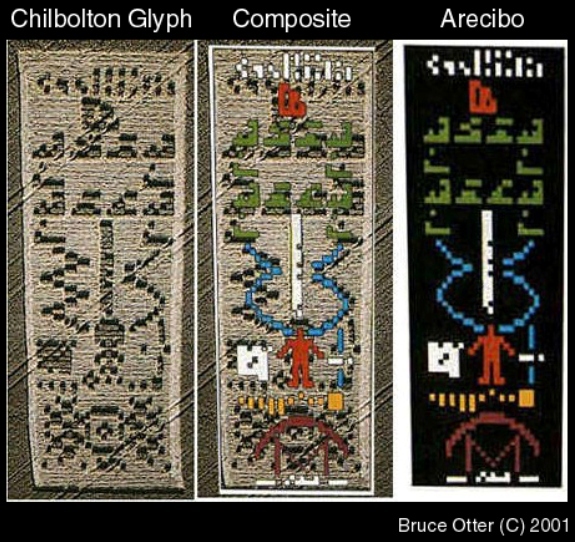 It would seem that the crop circles at Chibolton and Crabwood would indicate that ET has reached out in response to the message sent by Arecibo and more. We’ve got digital proof as it would be next to impossible for human circle makers to create the binary codes that have been so exquisitely displayed. The message of the Chibolton crop circle was nearly an identical response to Carl Sagan’s original message, except that it reveals the other side if the coin… ETs home data. The original message from Arecibo was sent in binary code, so it would only stand to reason that the response would also be in binary code, only the technology to deliver the response was much different than anticipated. Instead of receiving it via a radio signal, it showed up in a crop circle. This should have given us the awareness that maybe they are much closer than we realized or at least their ability to communicate is far advanced from our own and intricately woven into something beyond our comprehension to date. There was a technology director at a school district who, apparently without asking permission, hooked up all the district computers to participate in the CETI at Home program during the off-hours. He went for some time as the top producer of processed data, mysterious to everyone until he was exposed by another techie in the school district. The director was summarily fired after an FBI investigation and charges of misuse of resources. I wonder if permission would have been granted had he asked. 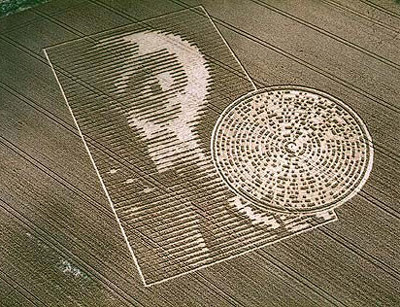 The following year another crop circle appears that depicts the answers to the SETI question: What do the ETs look like? Along with the answer of their appearance, at least one race anyway, is what appears to be an extended hand holding another message, a binary disk. After some time it was decoded and most generally agree its message was this: “Beware of the bearers of false gifts and their broken promises. Much pain but still time. There is good out there. We oppose deception. Conduit Closing. (Bell Sound)” I’m not sure what the ‘bell sound’ was about, but maybe it should be ringing in our ears. Maybe it is already and like most of the subtle impressions all around us, we just aren’t listening deeply enough yet. There seems to be plenty of other forms of contact that are going unreported and/or discounted by the scientific community for lack of repeatability and technological measurement. The most notable are the telepathic communications that many are reporting now. Sure some of them seem a little incredulous, but the consistency of the messages is apparent and continues to grow in numbers of ‘contacts’ who are reporting. We don’t have the tools to measure the ‘thought waves’ yet, but for a long time we didn’t have the tools to measure electricity or lightning either. So maybe it is time to look beyond the seemingly naive attempts of SETI to conjure up contact and recognize that it is happening all around us through a variety of forms. ET is not only phoning, they are texting, thinking and showing up in our skies if we could only get our heads out of the proverbial box. It seems we’re looking at the situation through lenses that have been tainted by the limited thinking of the technological minds of our world. Is it possible that our next wave of technological advancement will be psychospiritual instead of machine-driven? This entry was posted in Blog, Contactee, Crop Circles, ET Communication, ET Questions, Events, Extraterrestrials, Interviews, Search for Extraterrestrial Intelligence, SETI, UFO Questions, Ufology, UFOs and tagged consciousness, et messengers, ET questions, extraterrestrial contact, extraterrestrial messengers, extraterrestrials, scientists and ufos, telepathy, ufo blog, ufo news, Ufology, unidentified flying objects on July 28, 2013 by Zen Benefiel. Lee has been a mainstay in the Ufology community for years, pushing the limits of public opinion and presenting information that few choose to investigate, let alone share. He’s been writing for The Huffington Post more recently and his most recent article is quite intriguing. Scientists are beginning to join the Ufology fray. “They’re wrong, naive, stubborn, narrow-minded, afraid and fearful.” says physicist Eric Davis about other Scientists who are afraid of talking about UFOs visiting earth. “UFOs are real phenomena. They are artificial objects under intelligent control. They’re definitely the craft of a supremely advanced technology,” says physicist Eric Davis, a researcher of light-speed travel. The physicist, who recently won an award from the American Institute of Aeronautics and Astronautics for his study, “Faster-Than-Light Space Warps, Status and Next Steps,” knows many colleagues who quietly study UFOs. Why quietly ? Why quietly indeed? Surely they wouldn’t be timid in sharing their beliefs and maybe even some of their discoveries. Possibly they are more pensive since there natural environment is very critical and wary of things ‘outside the box.’ Lee does a good job in exploring the matter and maintains the professionalism expected of such an accomplished person, but what about a more personal side of the equation. There is still another area yet unexplored that seems worthy of investigation… contact. Many profess it, but have a real challenge articulating anything that sounds remotely grounded or understandable. 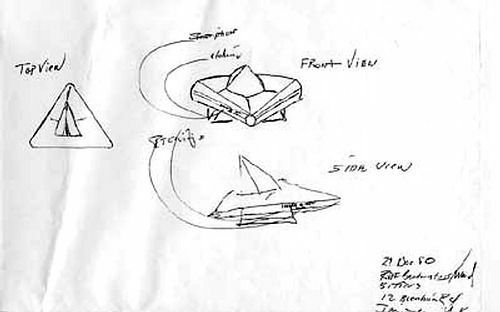 It is an area in ufology that seems to have very little attention to date, yet is the topic of discussion in the background of many of the ‘gatherings’ of ufonauts. Far too many sound like they have ADHD or ADD and have trouble stringing two cohesive unfragmented sentences together. Is it possible that the data downloads or non-linear and non-local events might have scrambled the circuits a bit. Are there any ‘professionals’ qualified to deal with such individuals in order to help them create some order and/or flow to the information they seem to have stored to share. It is far easier to focus on phenomena, photos, videos and bits and pieces that are semi-tangible rather than move into the subjective areas of real conversation. Taking on the subject is one thing. Finding those who might be ‘qualified’ to speak is yet another. There is already a prolific polarity in the ‘camps’ of ufologists that span conspiracy theory to world evacuation. What might the vetting process be for such individuals? Like the scientists who are reticent to come forward, might these folks be even more so based on the behaviors they’ve witnessed to date? Would we require them to have advanced degrees or would a carpenter or housewife be considered credible? It would seem only logical to consider these individuals eventually. What do you think? This entry was posted in Abductee, Contactee, ET Questions, Extraterrestrials, Interviews, News, UFO Questions, Ufology, UFOs, Uncategorized and tagged abductees and contactees, et messengers, ET questions, extraterrestrial contact, extraterrestrial messengers, extraterrestrials, scientists and ufos, ufo, ufo blog, ufo contactees, ufo news, UFO questions, Ufology, unidentified flying objects on July 21, 2013 by Zen Benefiel. The folks at Google had a field day celebrating the anniversary of one of the most notable UFO cases in history. Thanks to Barry Schwartz of Rusty Brick, the animated logo has been saved for posterity. In early July of 1947, sightings of an unidentified flying object were reported, along with crash remnants found near Roswell, New Mexico. While a public information officer from the Roswell Army Airfield initially published a release on July 8, 1947 stating a “flying disk” had been recovered on a nearby ranch, military officials would later claim the found objects to be pieces of a surveillance balloon. Whatever it was that crashed in the southeastern area of New Mexico started an outpouring of conspiracy theories that have lasted throughout the decades and inspired many documentaries, movies, books, and now an animated Google logo. Now we know the event has clout. Users can click the play button on Google’s homepage to start the interactive experience that begins with a UFO crashing and leads to a video game where players must collect found objects near the crash site to help the space alien rebuild his ship and return home. Sorry it doesn’t work here, but you can see the game in process. This entry was posted in Announcements, Events, UFO Questions, UFO Sightings, UFO Videos, Ufology, UFOs and tagged ET questions, extraterrestrials, ufo blog, ufo news, UFO questions, Ufology on July 9, 2013 by Zen Benefiel. The Ufology community is a close knit group that shares information readily. It is a far cry from the early years of mimeographed newsletters and poorly printed books that dedicated folks made sure got in the hands of those who wanted to know more about ETs and UFOs. From the early ‘eyes only’ and ‘top secret’ documents that ‘leaked’ out we now have retired CIA and NSA officials who are offering testimony to retired congressional members. We’ve come a long way, baby. There have been communications, apparently beginning in the middle of last century, that some believe are directly from extraterrestrial sources. These communications were supposedly ‘channeled’ to specific individuals who apparently were selected for such media outlets. Can we determine whether these sources were legitimate or just well-wishing citizens? Do we have the science to determine whether or not this was real? If not, then could it be possible? It is well known that telepathy has been proven to exist beyond reasonable doubt. Researchers have been preoccupied with the material manifestations that provide solid proof of the existence of extraterrestrials for over half a century now. Recent releases of information hint that there is a non-linear or non-local experience that has or is happening to those who’ve encountered craft, either accidentally or on purpose.If we can believe any of the recent Citizen Hearings, then disclosure is not something we are waiting on, its already happened. We know we are being visited. We seem to be pushing the boundaries of math and science, attempting to describe circumstances and experiences with a language that is challenged if not incapable of presenting the whole story. Is there something more we are missing? Are we moving toward a new kind of contact? This entry was posted in Blog, ET Questions, Extraterrestrials, UFO Questions, Ufology, UFOs and tagged ET questions, extraterrestrials, telepathy, ufo blog, ufo news, UFO questions, Ufology on July 7, 2013 by Zen Benefiel.